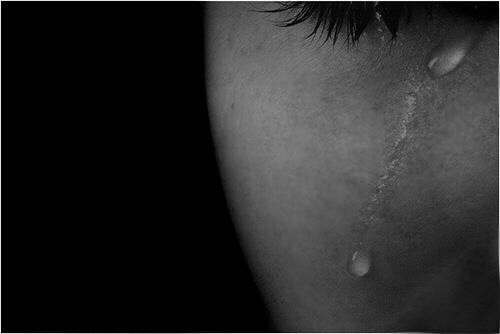 I have always tried to control this reaction, overcoming what seemed to be a sign of weakness, insecurity… But, the truth is what my tears express, often deaf and invisible, is a deep respect, respect for life and respect for death, pain and suffering, respect for the profession. So… Yes, I often cry in the ICU, when I look into the eyes of a son, a husband, a mother, to have the hardest conversation, to ask them to take the toughest decision or to give them probably, the worst news of their lives. It is overwhelming at that time the weight of the responsibility, you have to look at the eyes with an infinite sincerity, feeling their tears, hear the silent cries drowning in their paralyzed gorges, which cut almost the breath… You share their suffering, and in that terrible moment, they put in your hands their most precious treasure: the life of a loved one. Could a greater act of trust in another human being exist? … I think it deserves a few tears. I’d love to continue sharing with you these little stories of moments and experiences of intensive medicine, and although I’m Maria, from now on, if you think well, you can call me… The crying intensivist. Hospital Comarcal Infanta Margarita, Cordoba.